← How long will my lead acid battery last before I have to charge it again? 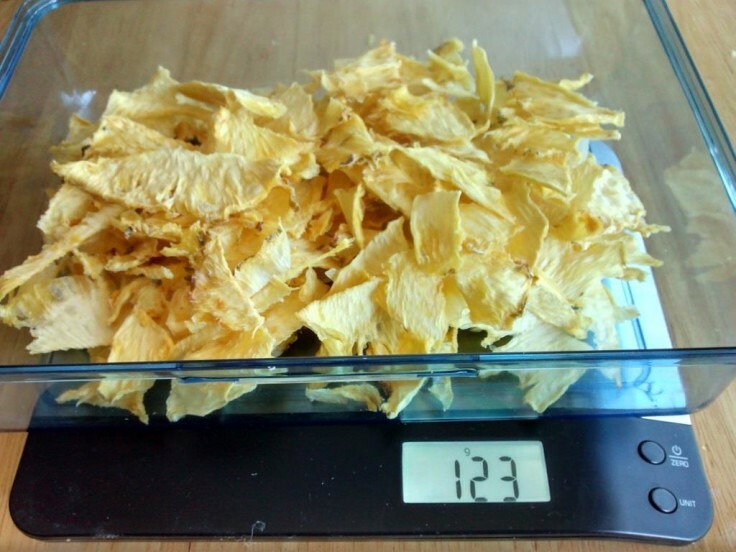 For today’s issue of dehydrating math, I did not count the weight of the core, skin or green leafy top. At least where I live, pineapples are not sold by weight but rather priced per unit. I paid 4$ Canadian for this one. 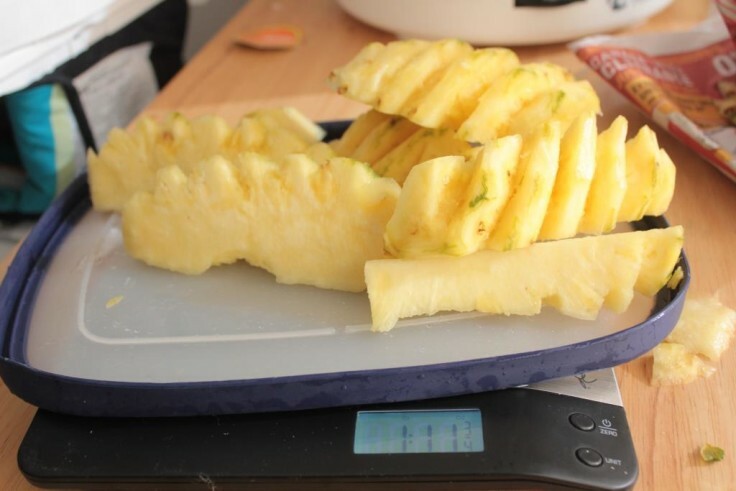 Like before, I weighed the pineapple before and after dehydrating. I accidentally set the scale to pounds, but it’s easy enough to convert to grams, 787 of them. The pineapple filled up my entire 4-tray dehydrator to 100% capacity exactly. 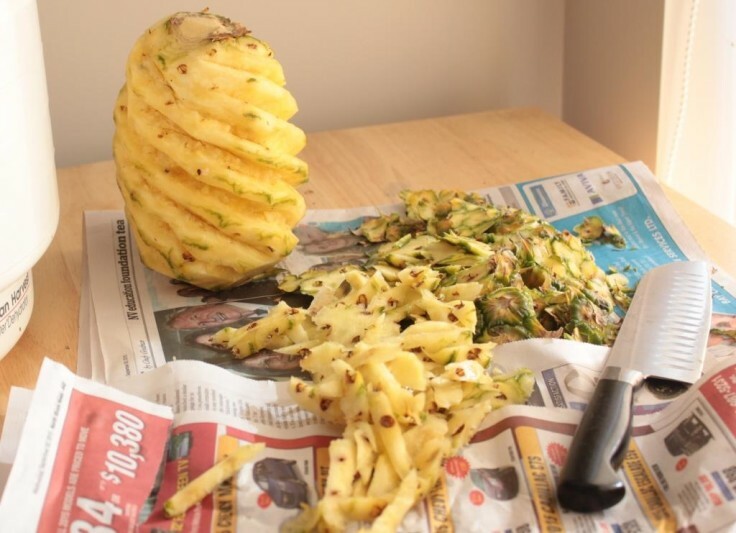 Dried out, the pineapple is shockingly light – 123 grams, a tiny 15% of initial fruit weight. It would be even smaller, like 8% if we also counted the rind, core and leafy green hat. 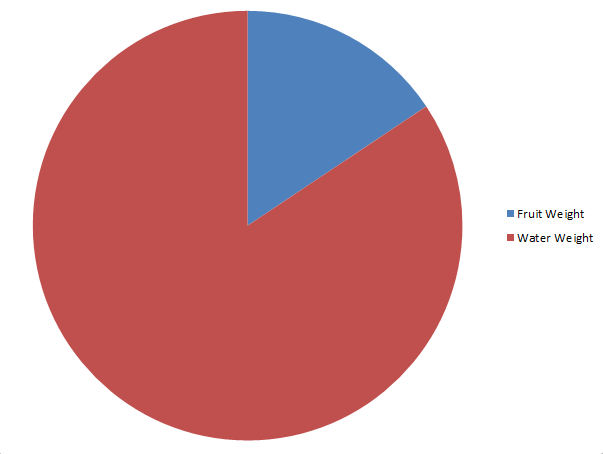 Even though I intentionally did not weigh the full pineapple, I am beginning to wish I had so this data would be even more useful. Next time I promise! This entry was posted in Cooking, Dehydrating. Bookmark the permalink.